The weather is cool and you want to look fashionable – pick any one of these 12 free crochet hat patterns to keep warm and cozy! I made a resolution for this year – I WILL learn how to crochet! I see a lot of patterns for hats and other yarn goodies in my Pinterest feed and whenever I click on them they are always crocheted. I’ve tried to learn before but I never practiced . . . I need to take a class and commit, and it’s one of the things I’ve promised myself this year. I’ve been a knitter since I was 15 years old, which means that basically since the dawn of time I’ve made yarn items with two needles. But there’s something so awesome about 1) holding one needle in one hand instead of two in two and 2) being able to work up a pattern so quickly. I love knitting, but it’s not always easy to find patterns that are fast, especially when it comes to hats. 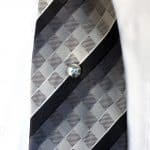 I find a lot of small gauge (stitch) patterns as well as ones that use round or double pointed needles. While this isn’t a problem for me given my years of experience, it’s not always the easiest for everyone. I’ve decided the first thing I’m going to learn in crochet is how to crochet a hat. It seems to be the place that most people start, especially those who have a knitting background. I feel like I can jump right in. I’m really loving the lacy look that some of these free crochet patterns provide! A lace or granny square effect is much more difficult to achieve with knitting. You see why I need to learn how to crochet?? 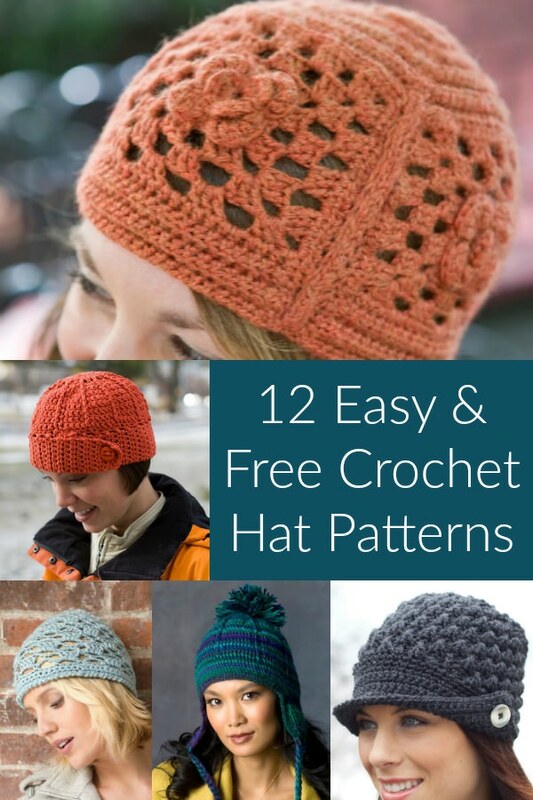 I know exactly what I’m going to make after I learn – one of these 12 free crochet hat patterns. I love hats, and they seem to work up pretty quickly compared to other crochet projects, so I’m excited to get going. If you want to see the ideas I love, just scroll down! Click on the name of the pattern next to the number to get it free. This hat looks perfect for going to the coffee shop on a crisp morning. You don’t need anything extra besides the yarn to create the brim! 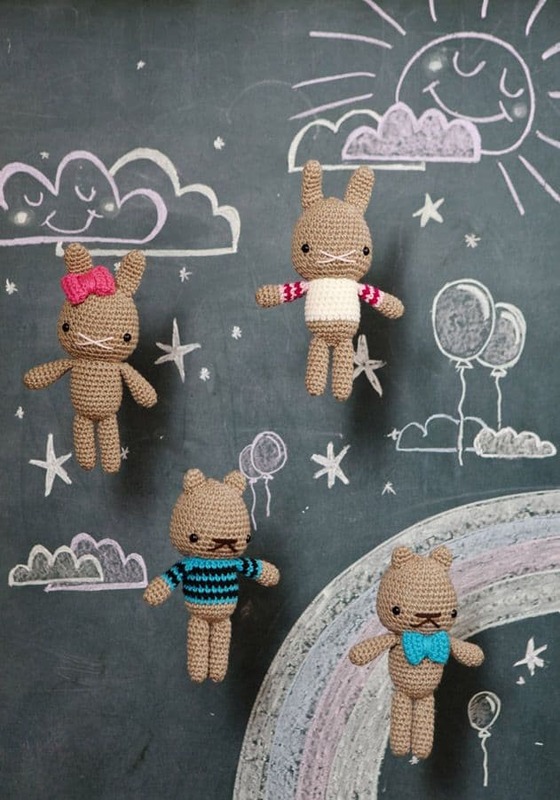 You will have to register with Lion Brand to get the free pattern, but they have an enormous library (and it’s still free). 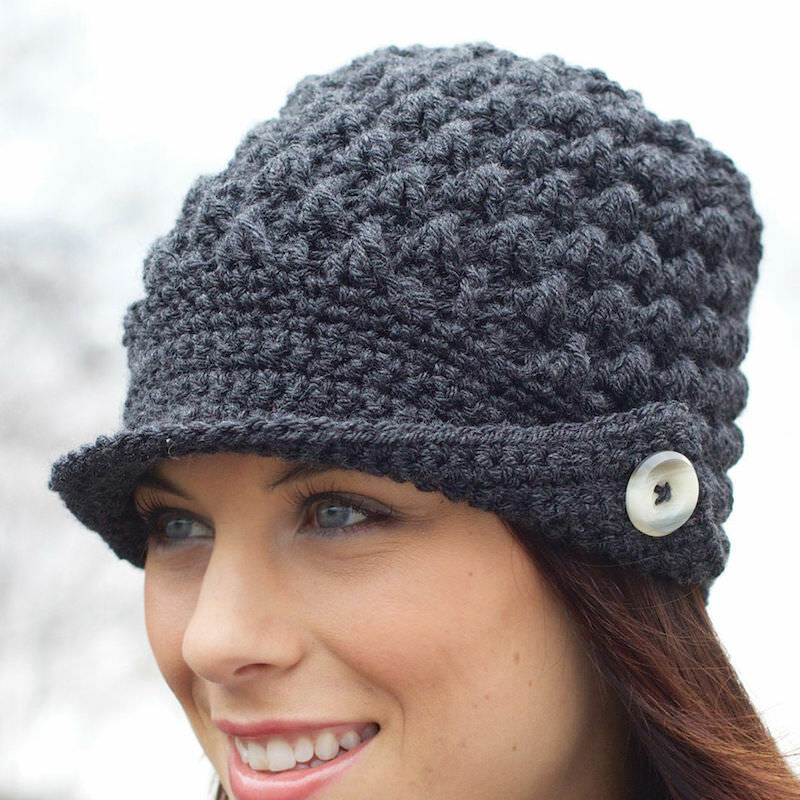 Jenni upgrades a standard crocheted hat by adding a band and a button. I’m kind of obsessed with large buttons, and I feel like you could either make yours the same color or do a contrasting button for a little bit of flair! 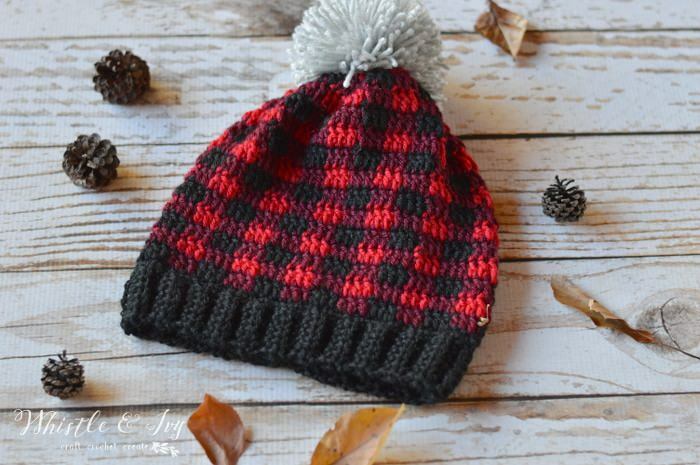 This plaid crochet hat pattern is one of my favorite free crochet hat patterns of all time! I’m totally mad for plaid. Bethany also has boot cuffs, a wreath, arm warmers, pillow, and a variety of hat styles . . . all plaid and all crochet . . . on her site. It’s worthwhile to visit her and check out the patterns. 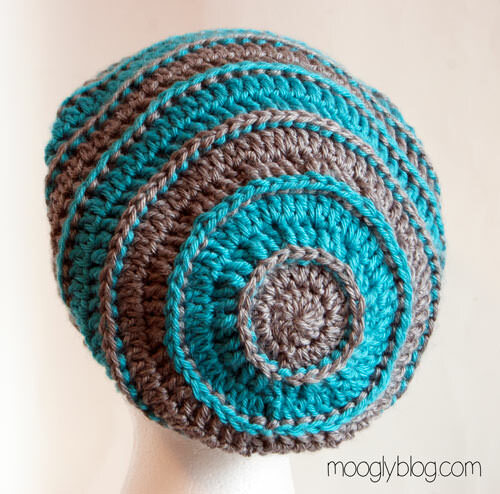 I love the contrasting stripes on this crocheted hat – and it’s totally in my color palette. I need a slouchy kind of hat because this girl has an enormous noggin! :0 There’s even a pattern for matching arm warmers. 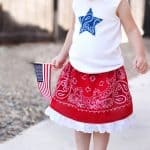 This hat with the bold flower is perfect for both adult women and children. There are a few color variations that you can see on her site, and there’s no limit to what you can do with this! 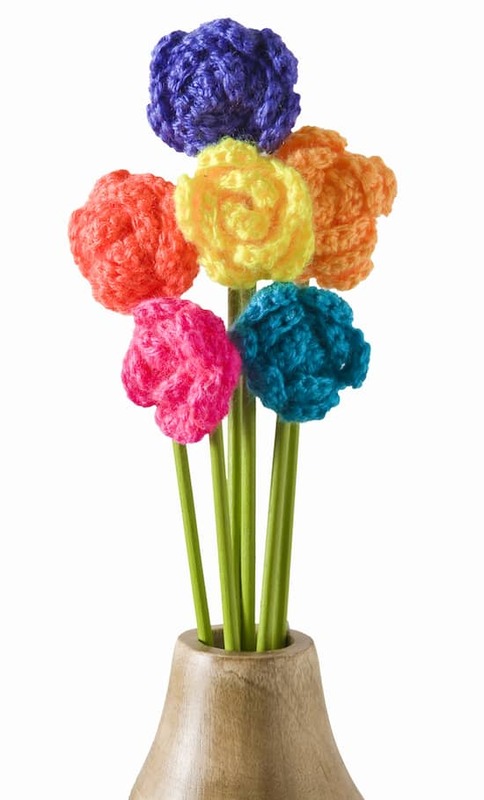 Wouldn’t that crocheted flower look amazing in a variegated yarn? 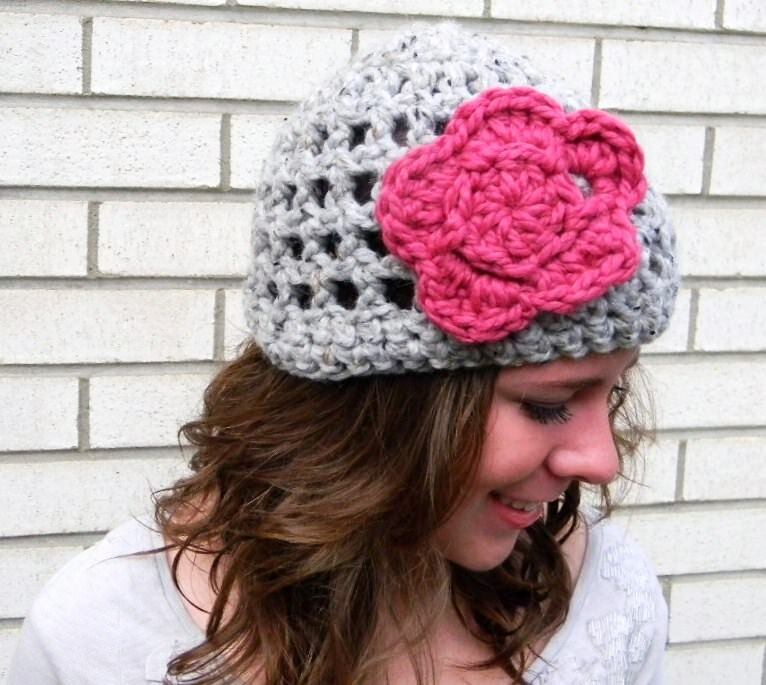 As far as free crochet hat patterns go, this is one of my faves. 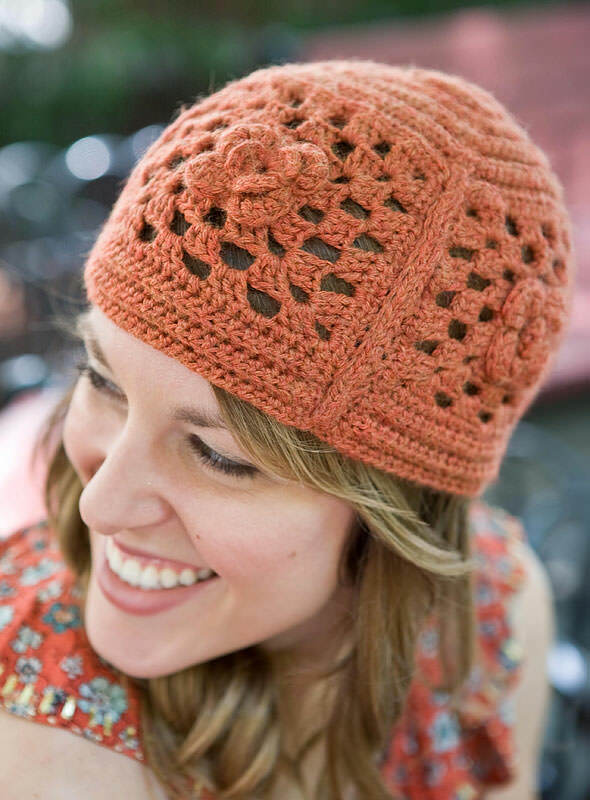 I’ve always loved granny squares – they look so great coming together in this hat. Okay, so you need a bit of crocheting skill for this hat, but it’s still not that hard. It just takes a bit of practice, and the resulting texture is super cool! This hat works perfectly when the weather isn’t quite so cold – and looks great, too. You will have to register with Lion Brand to get the free pattern, but they have an enormous library (and it’s still free). If you live in an especially cold weather area, this hat with earflaps is the perfect solution. You can choose to make this free crochet pattern in a striped yarn as shown, or a solid color if that’s what you prefer. 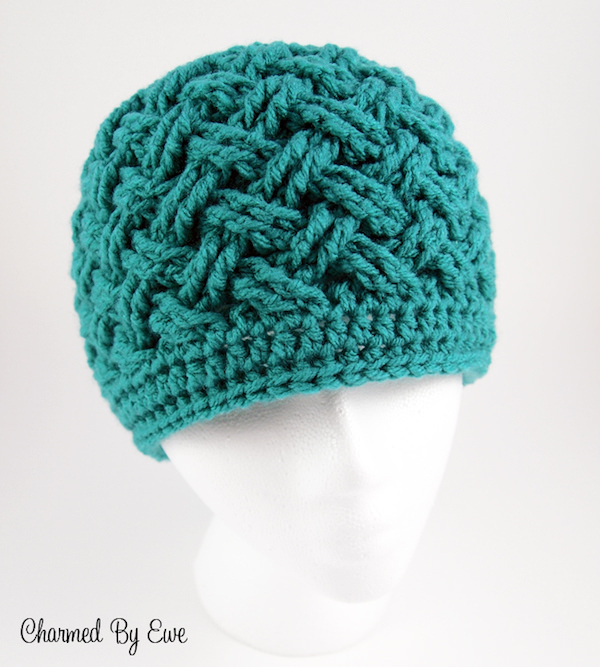 This hat is easy to make, and would look great in both a solid color or a patterned yarn. It’s a great crocheted hat for those with long(er) hair. 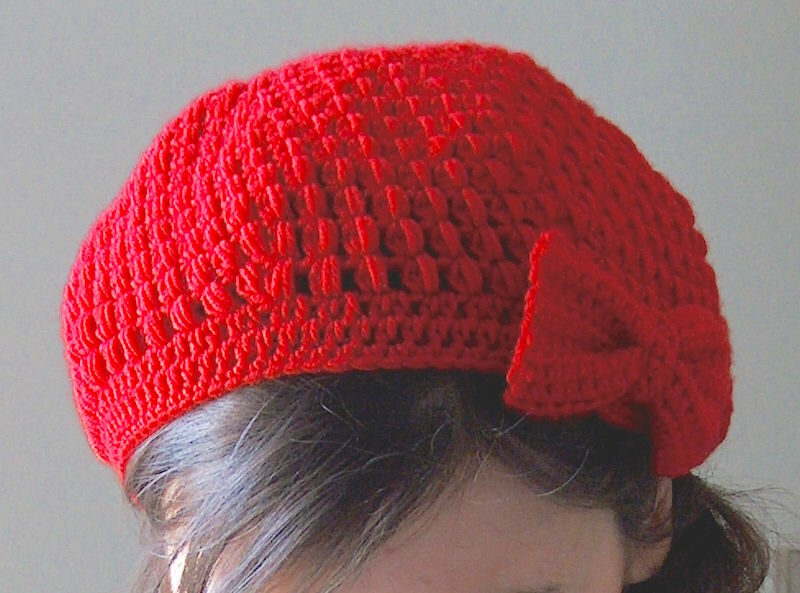 A regular crocheted beret gets an upgrade with a super cute bow on one side. I’m all about the bow of course . . . plus the pattern for the bow is separate, so you could really add it to any crochet hat pattern you like. This hat has the best of everything – a brim, the puff stitch and a cute buttoned flap on the side. I love it! Now that you’ve seen my picks, let me know which of these free crochet hat patterns is your fave in the comments! Ready for more? 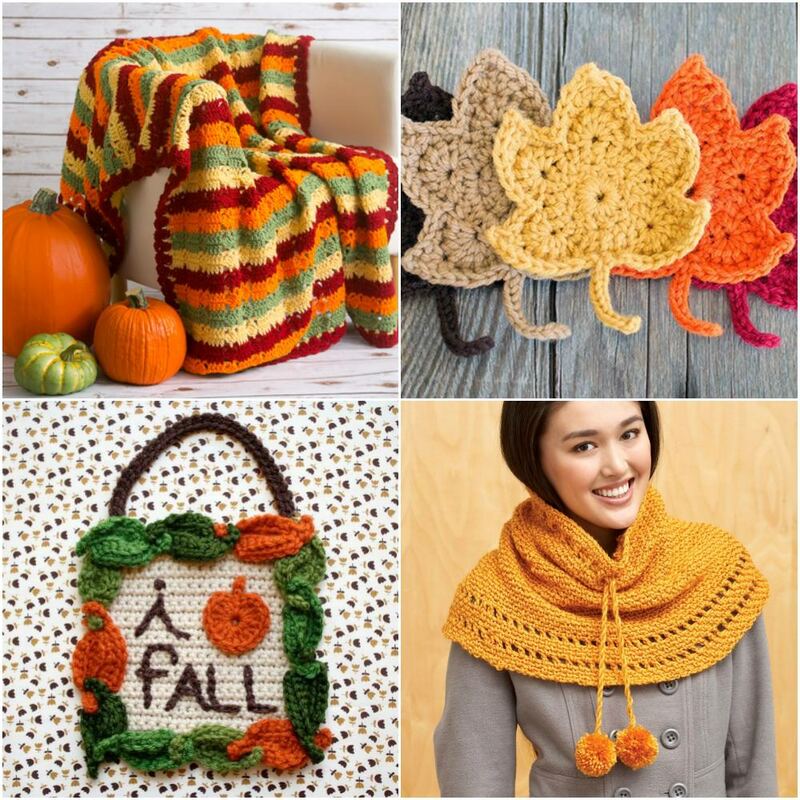 If you love crochet, take a peek at our 15 free fall crochet patterns. And if you happen to be a knitter . . . we’ve got 12 free patterns for knitted hats. Enjoy! You are such a knitter, Amy, surprised no crochet! I love these patterns, do you know where I might find them? Hi there! Top right corner, click through the slideshow using the blue arrows – you’ll see each project with a link to the pattern!